​Please download the entry form below for more information and contest rules. All contestants must be registered and paid by May 2019. Proof of age must be presented at registration. All fish in contention, after being weighed, must be gutted. Official's decision on fish weight is final. In the event of a tie for weight, the first fish entered prevails. All fish must be brought to the *Official Headquarters for Weigh-In. Fish may be caught anywhere in the Connecticut River and its' tributaries. Maximum of one prize per entrant. Any violations of these rules will result in disqualifying and forfeiture of registration fee and prizes. Tournament and its sponsor are not responsible for personal liability, property damage or negligence on the part of any participant. This Tournament is held in strict compliance with the laws of the State of Connecticut under Permit issued by the CT D.E.E.P. Officials may not enter this Tournament. 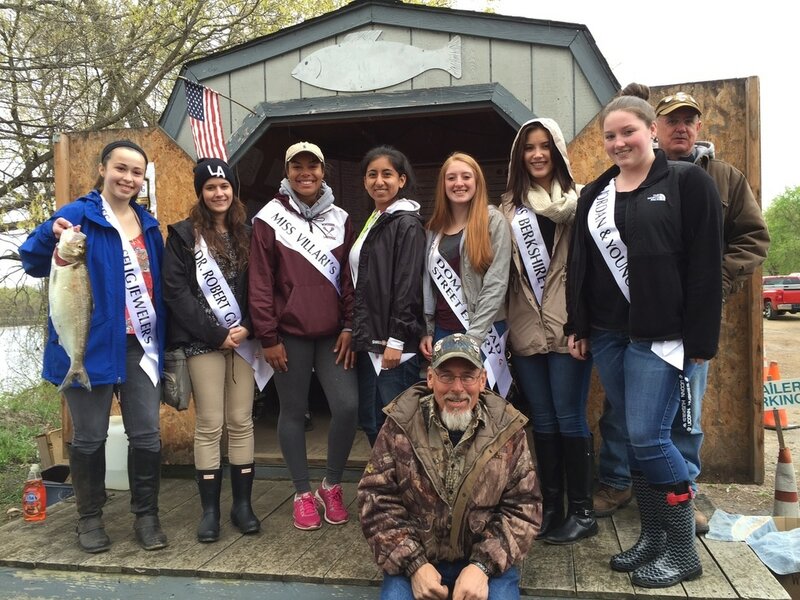 Shad Derby Queen Candidates at the 2016 Fishing Tournament.